Mitsubishi Chemical Advanced Materials Creative Molding & Systems (Mitsubishi Chemical Advanced Materials CMS) is supporting Dispack Projects in creating a new generation one-way PET beer keg with a recyclable, innovative valve system as a cost-effective and easy-to-transport alternative to traditional multi-trip stainless steel kegs. Dispack Projects’ new one-way DOLIUM® 20- and 30-liter kegs incorporate valve systems injection molded in glass reinforced polyamide, as well as protective, stability-adding external keg rings for improved handling and storage. Both elements were designed and developed through close co-operation between Mitsubishi Chemical Advanced Materials CMS, a fully-integrated manufacturer of injection molded polymer components and sub-assemblies headquartered in Tielt, Belgium and Dispack Projects. To develop a cost-effective and more environmental friendly option for the beer industry, Dispack’s founder Albert Wauters, draught and keg expert, had to ensure that product integrity, food safety regulations and an extensive list of performance requirements set by beverage producers, distributors and end-users would be met by the keg and its various accessories, including an integrated pressure relief valve system. At the same time, priority was also given to limiting the operational impact versus the traditional keg by achieving compatibility with existing filling lines and draught equipment. In line with these factors, the partners chose the market’s four most popular metal valves and their corresponding couplers as the main reference points for the development. For the final DOLIUM® PET kegs, Dispack and Mitsubishi Chemical Advanced Materials CMS developed new valves in four different versions that can be used with the most common couplers on the market for connecting kegs to draft dispensing systems. Particular attention was given to accommodating DOLIUM®’s plastic valves to the variations in tolerance of the metal couplers from different manufacturers. The system uses glass reinforced polyamide. The development of the new one-way DOLIUM® beer kegs involved extensive use of computer-aided design and engineering, as well as production of rapid prototypes. Final testing of the accompanying top and bottom handling rings as well as the valve system and the safety pressure relief valve have been carried out on parts made on single-cavity prototype molds before final multi-cavity molds were built. The new DOLIUM® one-way beer kegs offer extra benefits to existing one-way PET versions available on the market. 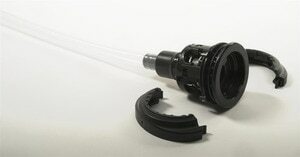 Offering the four variants of the plastic valve systems for example, customers have no need to investment in modifications for the filling of the kegs or for connecting them to the draft systems. The keg, with its special top and bottom rings made by Mitsubishi Chemical Advanced Materials CMS, has been designed so that it can be handled in vertical and horizontal way without the need for a supplementary protective cover. 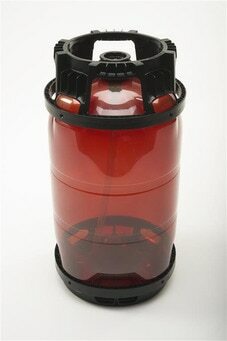 The rings make the keg stackable and ensure that it is protected during handling. As a supplier for the company Micro-Matic (Denmark) Mitsubishi Chemical Advanced Materials CMS is producing a set of 9 injection moulded parts, which are then together with a PE tube, assembled into a disposable beerline. This beerline, of which a new one is supplied with every keg, makes the connection between the smartDRAFT™ Tap and the Keg. The use of smaller volume packaging in the beer industry is appearing in public life through Mobile bars that are more and more used. You notice them at indoor or outdoor events but also in restaurants and bars in case weekly dispensing volume remains under 70 liters, which is about the minimum beer consumption needed for the use of the traditional large installations. One of the leading applications in this segment is the system called smartDRAFT™. - molding accuracy, making components from multi-cavity tools fitting leaking-free together. - appropriate material selection, facilitating valve operations with smooth friction characteristics. Mitsubishi Chemical Advanced Materials CMS has a collaboration with the Hungarian company “Mayex”, which is an engineering office and holder of a number of patents for dispensing applications. Through this joint activity Mitsubishi Chemical Advanced Materials has been adding a range of innovative cap and dispensing systems to its portfolio. 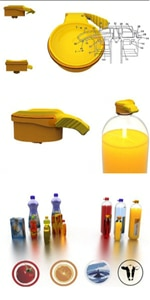 The dispensing cap is at the same time the PET bottle closure. 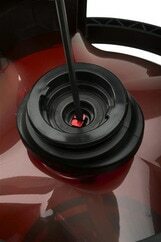 By making use of a patented valve system in the cap, with a straw attached to it, it allows by simple pressure on its top to dispense the content of the bottle by a continuous jet. This innovative cap application is suitable for carbonized and non-carbonized drinks. For the use with non carbonized drinks, an additional dose of nitrogen is added to the bottle content during the filling of the liquid. There are also opportunities for substances with higher viscosity such as sauces like Ketchup.